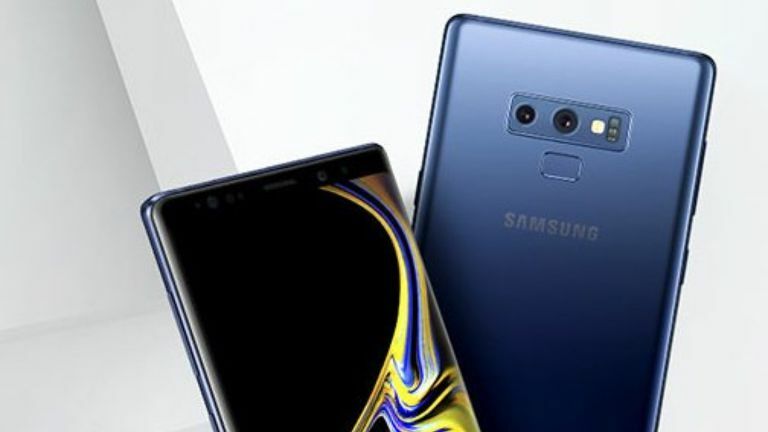 The Samsung Galaxy Note 9's price has been set in South Korea, with the 128GB variant of the hotly anticipated new handset reportedly selling for 1,094,500 won. This price, while seeming very high, when converted to US dollars, is actually very similar to the price the Galaxy Note 8 launched at last year in the States. However, this time round the base-level Note 9 has double the storage, up from 64GB. The news about the Note 9 comes via a report in ETNews, and claims that the two versions of the Samsung Galaxy Note 9, 128GB and 512GB, will cost "1,090,000 won and 1,350,000 won, respectively." In a straight conversion that means the 128GB model will cost $971 or, for the UK market, just £739. The 512GB model converts at $1,195 dollars or £916. Now, this is very interesting as only yesterday the pricing for the Samsung Note 9 in the Indonesia leaked out via a promotional poster, with the base model advertised as being available for pre-order for 13,500,000 Indonesian Rupiahs. That figure converts to $935 or £700 respectively. The Samsung Galaxy Note 9 is being officially unveiled on August 9. While falling short of a trend, these two leaked prices are roughly in the same ballpark, and when you factor in that brands often price goods at a price connected loosely with a country's GDP (South Korea is 11th in the world, while Indonesia is 16th, according to the International Monetary Fund), it points to a device that will likely cost the same, in each respective country, as the Samsung Galaxy Note 8 did on launch. In 2017 the Note 8 launched in the US at $929 unlocked, while in the UK that figure was £869, so when you compare those figures to the converted numbers from South Korea and Indonesia, as well as factor in the price premium the UK tends to pay on technology, you end up with the inevitable conclusion that the Note 9 is going to be priced in exactly the same ballpark as the Note 8. And, while that isn't exactly good news, it isn't as bad as some reports have indicated, with some estimates for the handset putting the 128GB model at £939 in the UK and €1050 in Europe. Naturally, we'll find out the official UK and US pricing for the Galaxy Note 9 at Samsung's incoming Unpacked launch event, so be sure to check back into T3.com then for the full price picture.